Do you buy their ideas? I read this article and found it very interesting, thought it might be something for you. The article is called An Advertiser and a Biologist Want to Sell You a New Economic Paradigm and is located at http://evonomics.com/an-advertiser-and-a-biologist-are-selling-a-new-economic-paradigm/. 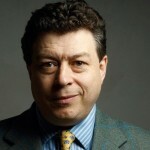 Rory Sutherland and I want to sell you something. Many things, actually. Fortunately, that’s Rory’s job as Vice Chairman of the legendary advertising firm Ogilvy & Mather. 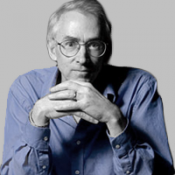 In this interview that I conducted with Rory, we want to sell you a new economic paradigm based on evolution and complexity, which goes beyond both neoclassical and behavioral economics. We also want you to know that corporations can be a force for good, as long as suitable reputational mechanisms can be brought into play. Learning about economics and business has never been so much fun. This entry was posted in Podcast and tagged Advertisement, Marketing, Rory Sutherland. Bookmark the permalink.